Did you know that executives are willing to spend on research more than usual, as long as they can predict a good return on this investment? How do you measure your ROI from market research though? It is not an increase in your revenue, brand recognition or a number of leads. These are results of a decision you and your team make based on research findings. Now, a well-informed decision is something research helps us with. The quality of data depends on your approach to research. 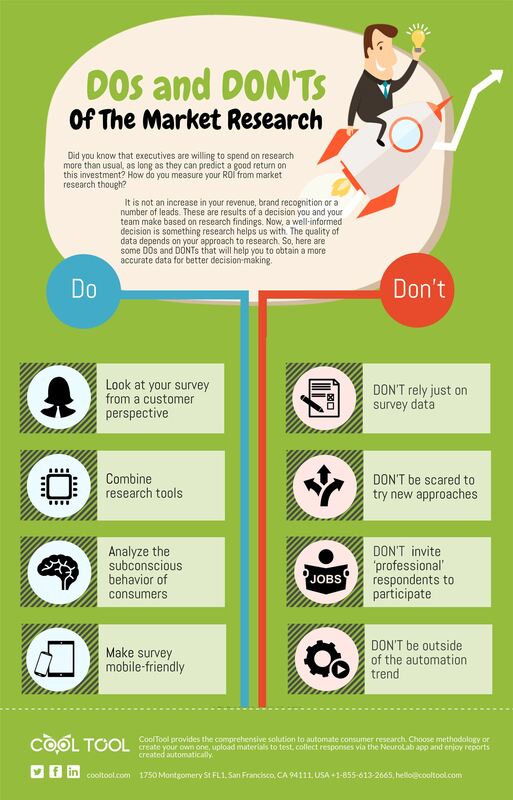 So, here are some DOs and DONTs that will help you to obtain a more accurate data for better decision-making. When drafting a questionnaire, keep in mind which key information you want to get from each particular question. One question – one objective. Don’t try to ask it all in one question. In case you face difficulties in compiling engaging questionnaire, use this simple guide to create a good survey. The key purpose of any research is to gather consumer insights. The quality of conclusions you draw from a research depends on the quality of these insights. Today entrepreneurs and marketers have access to effective tools for collecting and analyzing the subconscious behavior of consumers. Objective data became available with an emergence of eye tracking, emotions measurement, etc. These technologies allow you to catch the full picture of respondents’ behavior and cross-check the obtained data through several sources. The usage of multiple research tools is very important (here is why). They will allow you to look at the subject of your research from different angles and, as a result, you will get the full picture of consumer feedback/experience/behavior. For example, when testing a new package, use a virtual shelf tool as well. Not only you will know how your new packaging affects consumers’ perception of your brand, but you will also find out how it is perceived when put on a shelf next to your competitors’ products. If a person follows your survey link from his smartphone, you’d better make sure he can complete this survey, otherwise, you are losing your respondents. We are definitely quite familiar with ‘professional’ respondents. These are the people who treat participation in surveys as a day job. They have mastered the skills of answering any survey questions and can complete more than one survey as long as they get the reward. It is common sense really that such data is of no use for a marketing manager. It is corrupted and any decision you base on it has no scientific backup whatsoever. Opt for casual survey-takers, if you want to receive true consumer insights. Your research should always be tailored to an objective. Don’t start a project only because you have a leftover budget or because your competitors are conducting one. Before launching a research ask yourself: what do I want to find out, which information do I miss? Although it might seem like a lot of work, tailoring a good research is not as hard as it used to be even five years ago. 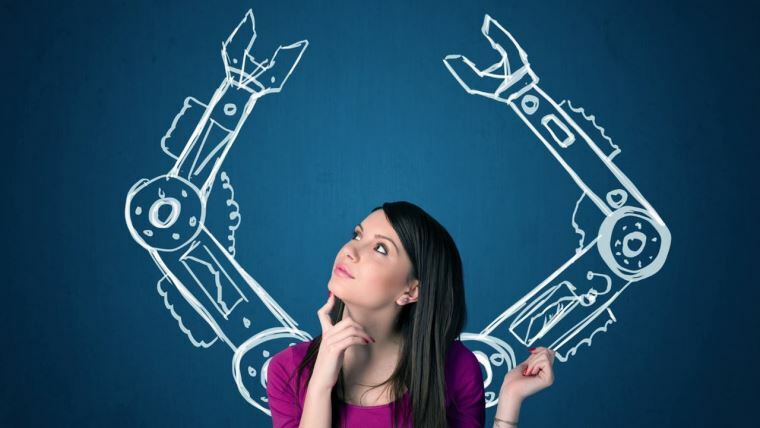 There are plenty of self-service platforms and automated solutions that help you at any stage of your research project. DON’T be scared to try new approaches to research and DO ask for freelancers or consultants help if and when you need it.